JCIDS training course introduces Joint Capabilities Integration Development System and capabilities-based approach to identify current and future gaps in the ability to carry out joint warfighting missions and functions and to develop requirements for weapons systems to close those gaps. The course also provides a fundamental understanding of various aspects of JDICS.. Completion of this course will provide the attendees with a fundamental knowledge of the JDICs including concepts, processes, policies and regulations. TONEX JCIDS training course covers the Joint Capabilities Integration and Development System (JCIDS). process. The primary objective of the JCIDS is to ensure the capabilities required by the joint warfighter to successfully execute the missions assigned to them are identified with their associated operational performance criteria. JCIDS training course covers topics such as: analysis of doctrine, organization, training, materiel, leadership and education, personnel, and facilities (DOTMLPF) in an integrated, collaborative process to define gaps in warfighting capabilities and propose solutions. JCIDS is defined in CJCSI 3170.01G. There are three key processes in the DOD that must work in concert to deliver the capabilities required by the warfighter: the requirements process; the acquisition process; and the Planning, Programming, Budget, and Execution (PPBE) process. JCIDS implements the requirements process. JCIDS supports the Chairman of the Joint Chiefs of Staff (CJCS) and the Joint Requirements Oversight Council (JROC) in identifying, assessing, and prioritizing joint military capability needs as required by law. The capabilities are identified by analyzing what is required across all functional areas to accomplish the mission. (Source: DAU Glossary of Defense Acquisition Acronyms & Terms). A Chairman of the Joint Chiefs of Staff process to identify, assess, and prioritize joint military capability needs. 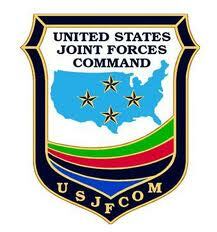 The JCIDS process is a collaborative effort that uses joint concepts and integrated architectures to identify prioritized capability gaps and integrated doctrine, organization, training, materiel, leadership and education, personnel, and facilities (DOTMLPF) solutions (materiel and non-materiel) to resolve those gaps. What is JCIDS (Joint Capabilities Integration Development System)?